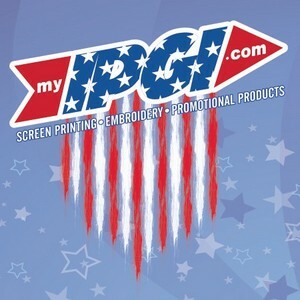 myIPGI.com is currently seeking a full-time Automatic SCREEN PRINTING PRESS OPERATOR as well as a SCREEN PRINTING PRODUCTION MANAGER. Many companies say they're looking for a "team-player" and we really are! We believe it takes the whole TEAM to reach our goals and that of our clients. Passion, drive and self-motivation aren't something we can train you for -it must be instilled in you already. 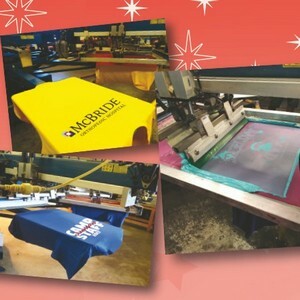 If you have common sense, an ability to organize and recognize priorities with an interest in exceeding clients expectations and dazzling your fellow team members with your creativity and enthusiasm to perform, you are the candidate we're looking for to apply those talents and skills in our fast-paced screen printing production environment. We are looking for personalities that are creative (yet mechanical and logical of mind) and are able to effectively interact with staff to achieve our company's mission and vision and to "enhance the image and brand of the clients we serve". It's all for one and one for all.If you are the type of candidate that can identify strengths and weaknesses and turn them to the positive -- we want you. DUTIES INCLUDE : Interpreting work orders for print accuracy and following our production schedule updates throughout the day as projects are completed and added on an ongoing basis (it never stops!) and more often than not, priorities change or situations occur that require immediate "situation solving" because for the right candidate - it's never a "problem" that a dirty word - only the challenge to be the best! MUSTS: You must be familiar with operating a automatic screen printing press, screen mesh counts, burning screens, squeegee pressures, gradients and ink opacities. If you don't know those terms and haven't worked on an automatic screen printing press this job isn't for you. No tears please! If you know you meet these standards and have these qualifications than please respond - this career is waiting for you. BILINGUAL (Spanish) preferred, but not required! myIPGI.com is NOW HIRING Administrative Assistant! Give your career a blast (without working at NASA!) with myIPGI.com. Currently seeking an Administrative Assistant to work with our Imprinted Apparel and Finance teams. supporting our Account Executives with promotional product and apparel research, order submission, tracking/progress, and invoicing. This position requires strong attention to detail, organizational skills and the ability to prioritize multiple projects and deadlines on a daily basis in a creative and efficient manner, however it is NOT rocket science. Don’t count yourself out – and get ready to put yourself in a place where you can get a pat on the back for a job well done.